New Website and Latest artwork of Jamie Foxx in Django Unchained! Firstly Welcome to my new website! Where you will find all of my drawings, artworks and time lapse videos. 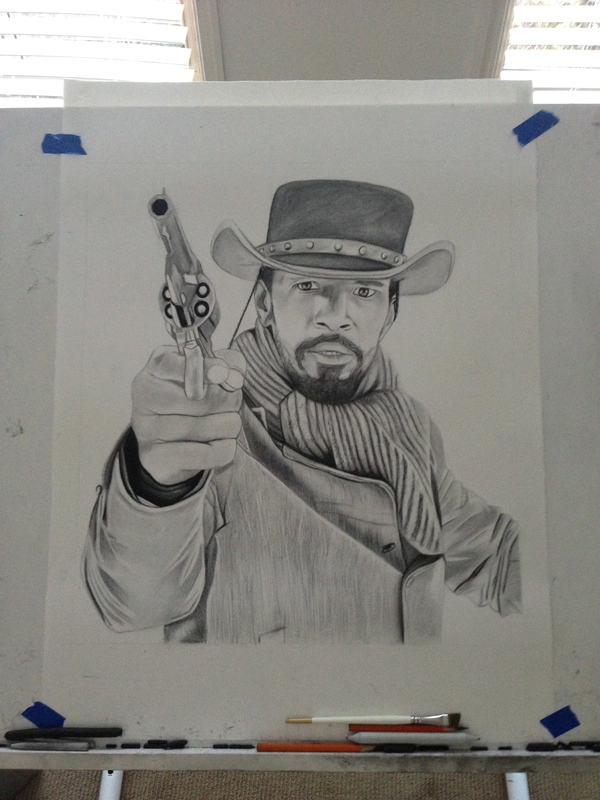 Here is my latest piece of Jamie Foxx in Django Unchained. This piece was done in charcoal and took around 10 hours to complete.